Injectable products used at Perfect Skin provide our clients with skin that feels naturally smooth and fresh. The dermal filler method is used when a client requires almost the filling of a wrinkle or line. Mostly used by our clients that want to reduce fine lines and wrinkles, dermal fillers can also be used to improve facial features. The treatment can also be used around the neck, décolleté and hands. Dermal filler is used to enhance facial appearance and counteract the effects of reduced elasticity caused by the ageing process. 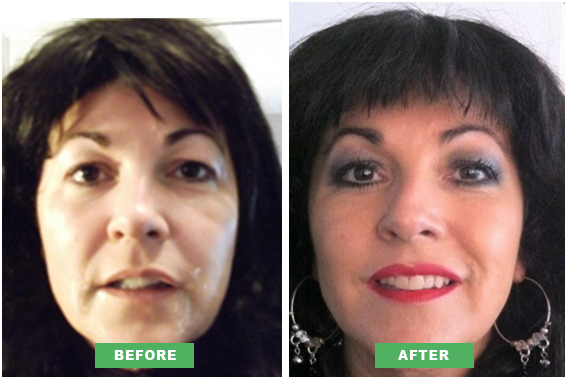 Dermal fillers can truly improve features and add volume to the cheek and lip areas. They can also have a positive affect on scars by plumping and smoothing the area. 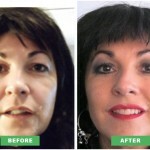 By plumping up the lips, the border of the lip can be subtly enhanced. It tends to lose its smooth appearance and causes lipstick to bleed into surrounding fine lines, plumping helps improve the overall look. Restylane vital can also offer light hydration which does not volumise lips but improves the results of drying out caused by central heating and air conditioning within the home and workplace. Please take a look at our pictures for examples. It is not expensive to undergo this procedure, and treatment is safe and quick and the results are instantaneous. Results tend to last longer than alternative cosmetic skin treatments, potentially lasting between 6-18 months, depending on the product choice that is right for you. At Perfect Skin, Frances is always honest with clients. Dependent on the type of treatment requested, I will always discuss techniques. Each client will be treated as an individual and we will talk together to discuss the most suitable procedure.